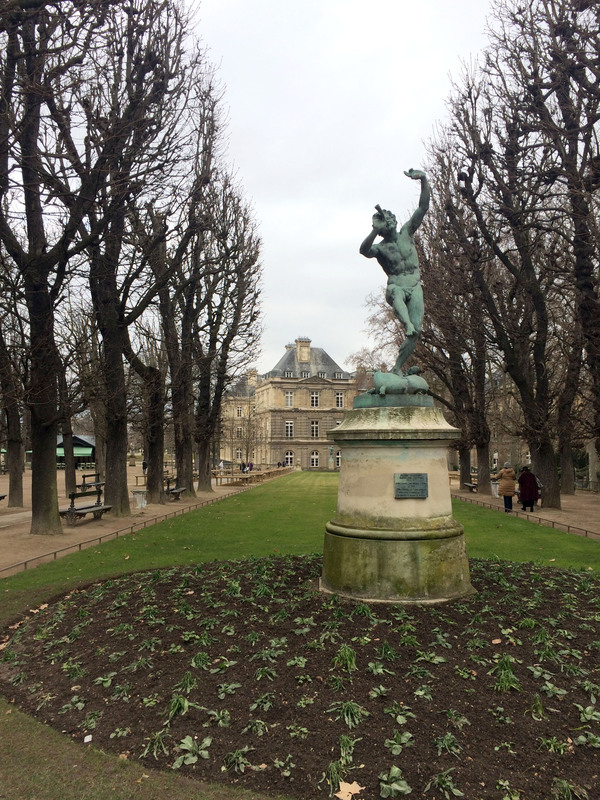 Located between Saint-Germain des Prés and the Quartier Latin, Jardin du Luxembourg is one of the most beautiful parks in Paris! 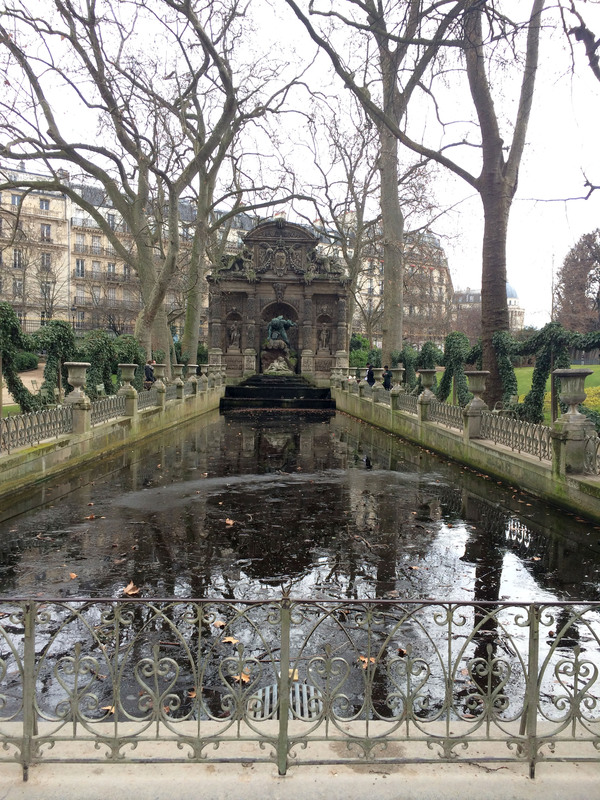 I love how the Parisian architecture, the various ponds, fountains, pavilions, birdhouses and numerous statues coexist in perfect harmony. 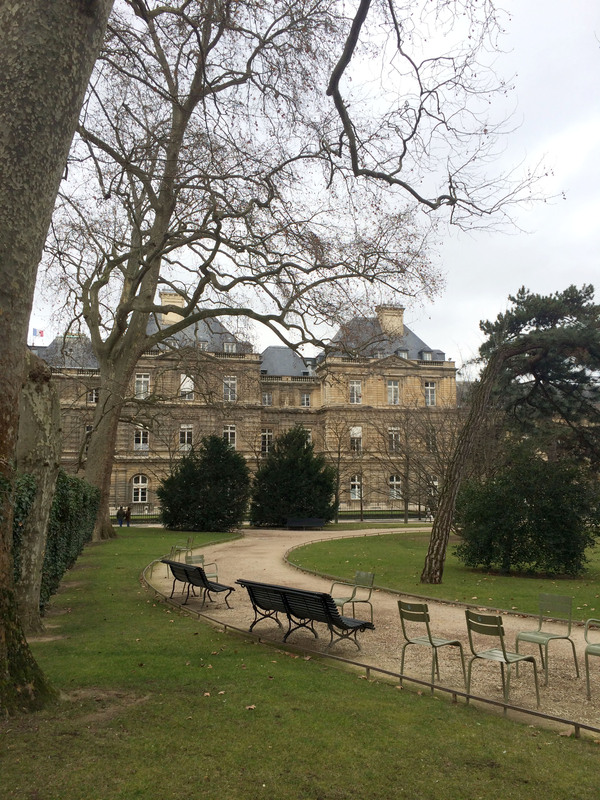 The park is divided in two main spaces: a French garden and an English one. Between both lies the big pond with the fountain. The famous French Fermob chairs are generously scattered around. They give the park a beautiful casual yet chic look and come in especially handy when you want to sit down for a minute and relax, escaping the city’s hustle. During the summer the park is the perfect place to have a picnic while visiting the center of Paris. 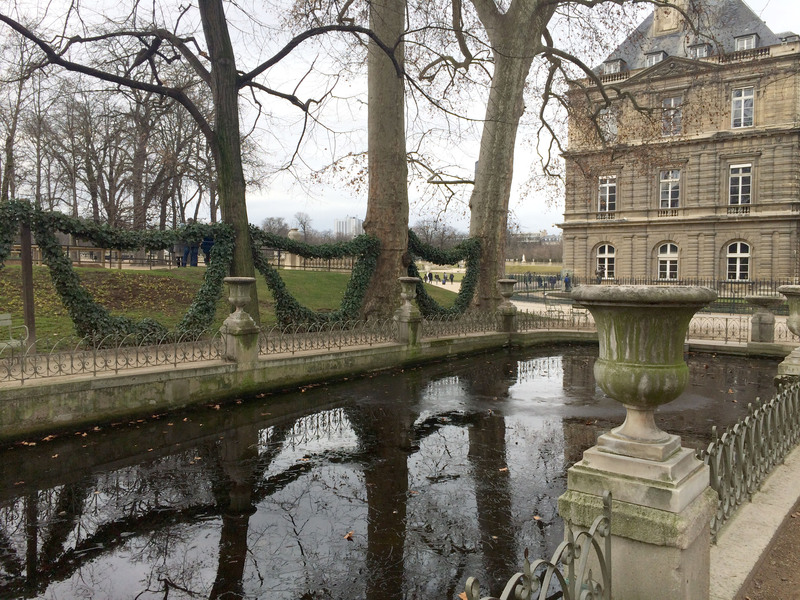 Jardin du Luxembourg hosts an orchard with apple varieties from the past, an apiary, a greenhouse with beautiful orchids and a rosary. The beautiful building behind the pond is an orangerie where orange trees and palm trees live and grow since over 200 years! From June to September various exhibitions take place inside this one of a kind place. 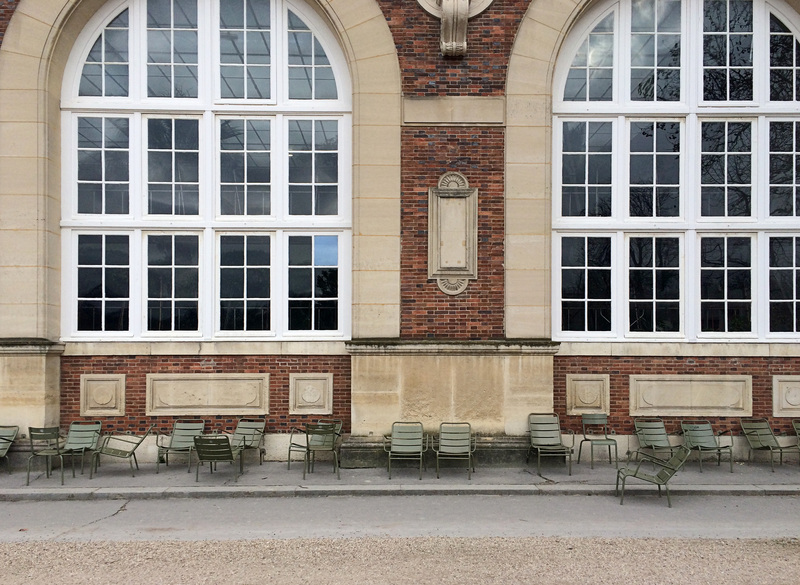 It is not rare that photography exhibitions are also displayed on the exterior gates of the park. The park is of course most beautiful during spring and summer, when the flowers are blooming everywhere and the trees are full and green. 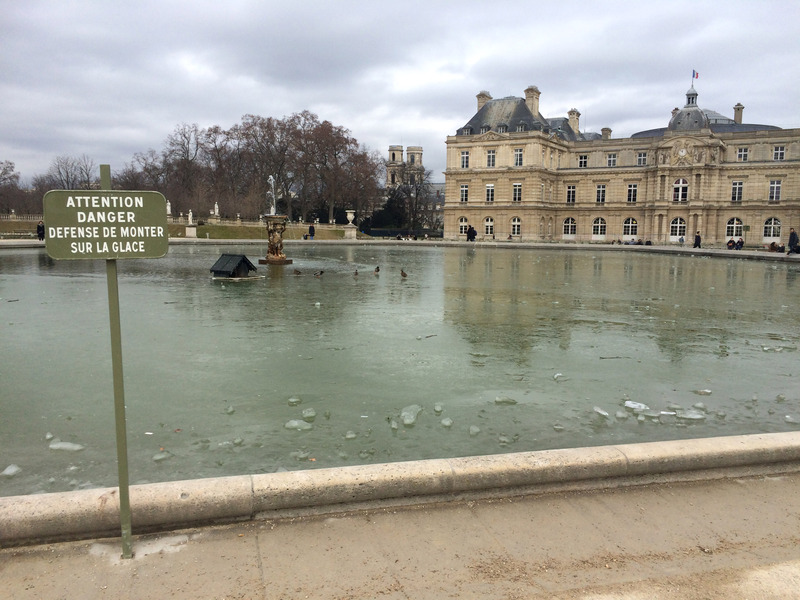 It was however quite enchanting to visit during the winter and very funny to see the ducks and seagulls (!!) slip and skate on the frozen pond! Due to these particular weather conditions, the traditional remote-controlled boats rental could not take place. But if you happen to be around during the warmer months, it’s an activity your kids will love! Funny old swings and a beautiful carousel are also a lovely option. And kids can even go for a pony ride on Wednesdays, Saturdays, Sundays and on school holidays from 3:00 PM to 6:00 PM. We can’t wait to go back now that the good weather is finally headed our way! Rue Vavin, hosting lovely kids shops like Les Enfantines is right around the corner of the park. The perfect excuse to mix a stroll outside and a little shopping trip. Make sure to pack your camera, a little snack and plan a couple hours for this lovely visit!